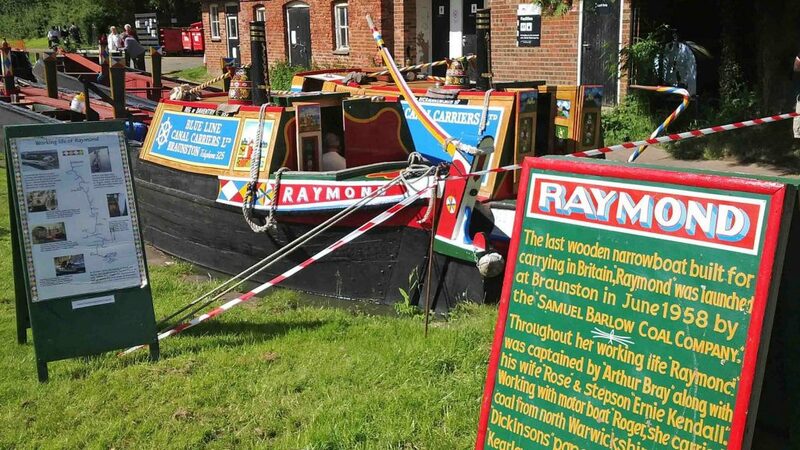 History of Raymond and Nutfield. History of the canals and associated activities. 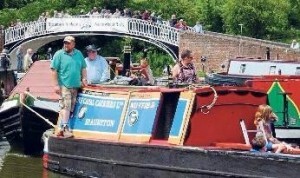 Nutfield was moved from Braunston Marina to Brinklow Boat Services (BBS) on the North Oxford Canal (www.brinklowboatservices.com) in August 2017. 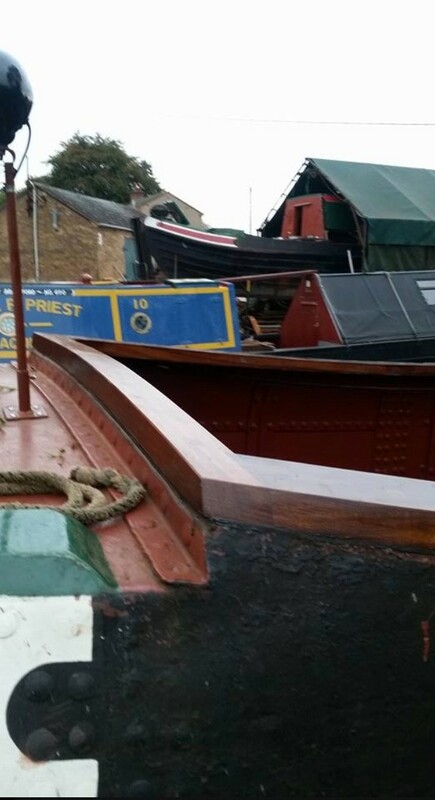 BBS have been commissioned by the Trust to carry out remedial work on the hull and the manufacture and installation of new wooden gunwales in readiness for the fitting of protective cloths. 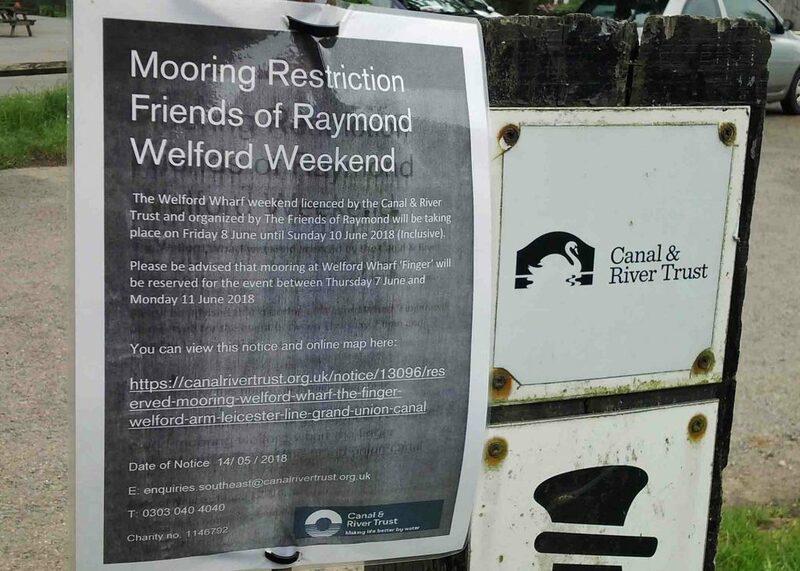 The work was planned in order to ensure the condition of the boat is maintained at a satisfactory level necessary to ensure the future of Nutfield is secure for years to come. The fitting of cloths will provide both weather protection for the hold area and a covered area for the crew, particularly for those who sleep on-board during long boat moves and events. 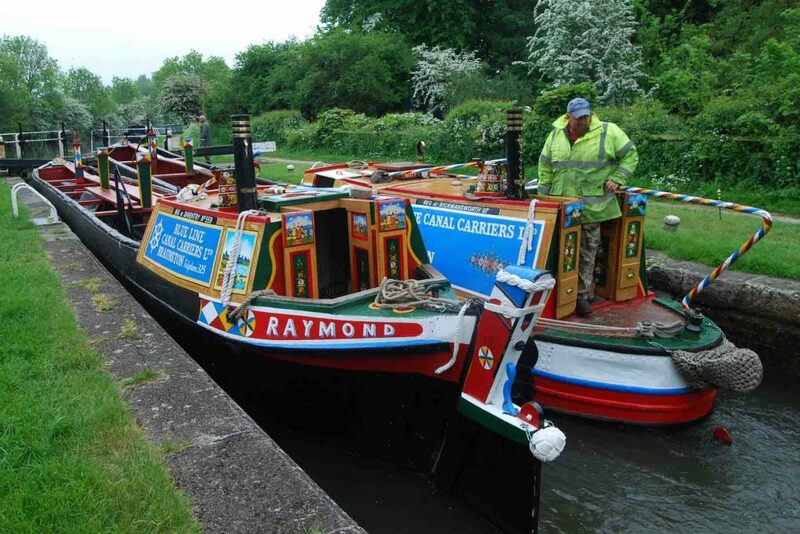 The total cost of the work is circa £8000 which has been funded by existing Trust funds, private donations and a significant donation from the Northamptonshire branch of the IWA in memory of the late John Faulkner. 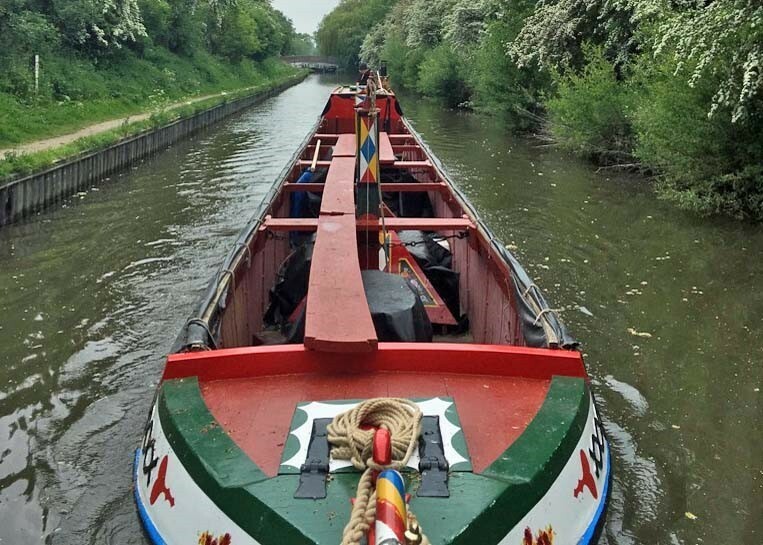 A number of heavily corroded pieces of hull have been replaced to ensure that the integrity of the hull is maintained and that the condition meets with the requirements of our Insurers. The process involves cutting out the corroded metal and welding in a new section. This approach is preferable to “over plating” for both constructional and cosmetic reasons. Once the cutting and welding work was complete it was time to grit blast the entire interior of the hull and baseplate to remove all the old paint and excess rust. A professional grit blasting company was commissioned to do the work, our energetic Volunteers kindly assisted with removing approximately 3 tonnes of grit once the process was complete. 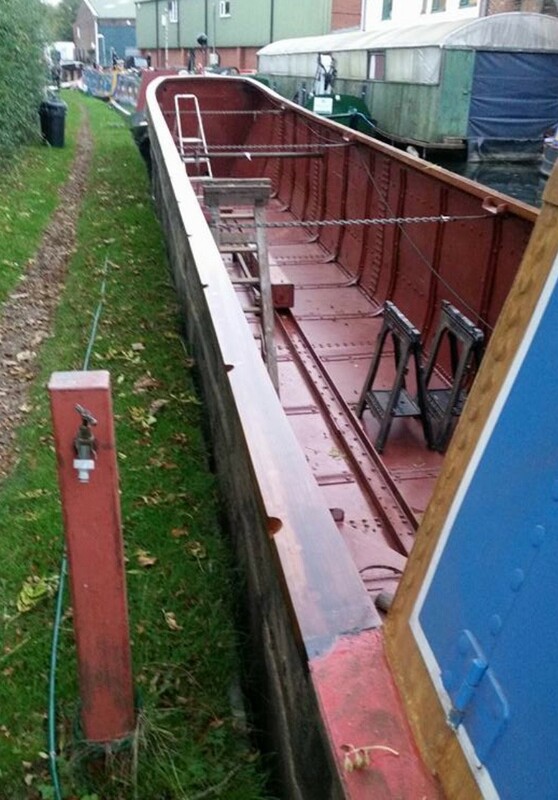 The freshly prepared hull surface was treated with two coats of high specification two part epoxy finish in a traditional red oxide colour. This coating provides a high quality finish that will prevent corrosion for many years and will keep the interior looking smart. After consideration and expert advice it was agreed that the existing oak gunwales were too narrow to accommodate the proposed new cloths. Once the they were removed, BBS started the process of “truing up” the hull using the existing tensioning chains and acrow props where necessary. When the hull was deemed to be as “true” as possible, the new gunwales were produced from iroko wood (an African hardwood which is very durable wood; iroko does not require regular treatment with oil or varnish when used outdoors). The installation was completed using waterproof flexible sealant and coach bolts. All coach bolt heads have been capped in wood to ensure a high quality finish on the top surface. The new gunwales have been treated with a black pitch finish and fitted with rings in readiness for the fitting of cloths. The fitting of cloths will provide the necessary weather protection ensure that the work described above is protected and long lasting. We have a costed proposal for the cloths and fitting (including new planks) which is approximately £4500. This work will be commissioned when the Trust has raised the funds as there is insufficient money available at this time. If you are able to support us in raising the £4500 required, we would be delighted if you could make contact with our Treasurer, Nick Lake. Contact details can be found here. Our thanks goes out to all Friends, Donors and Sponsors that have made this work possible and we look forward to your continued support. 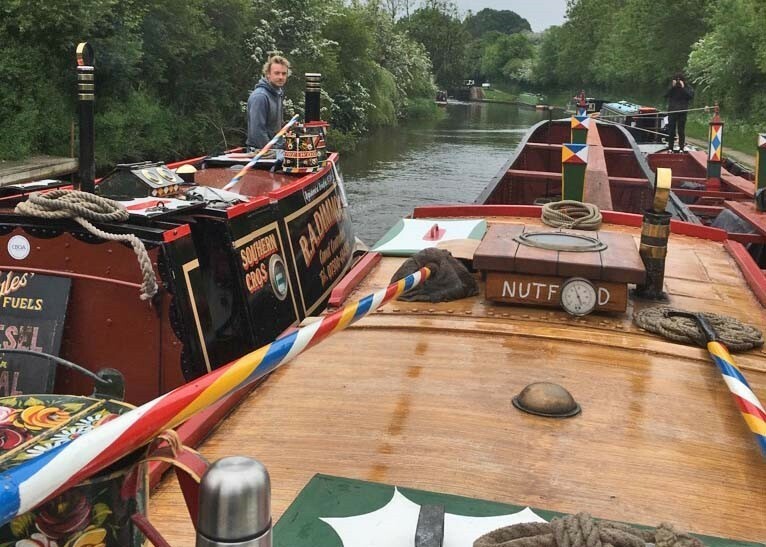 In the April 2016 edition of Towpath Talk, Tim Coghlan of Braunston Marina writes about the fascinating history of the Grand Union Canal Company and its canal carrying subsidiary the Grand Union Canal Carrying Company (GUCCC) and the part that Nutfield played in the last 80 years. 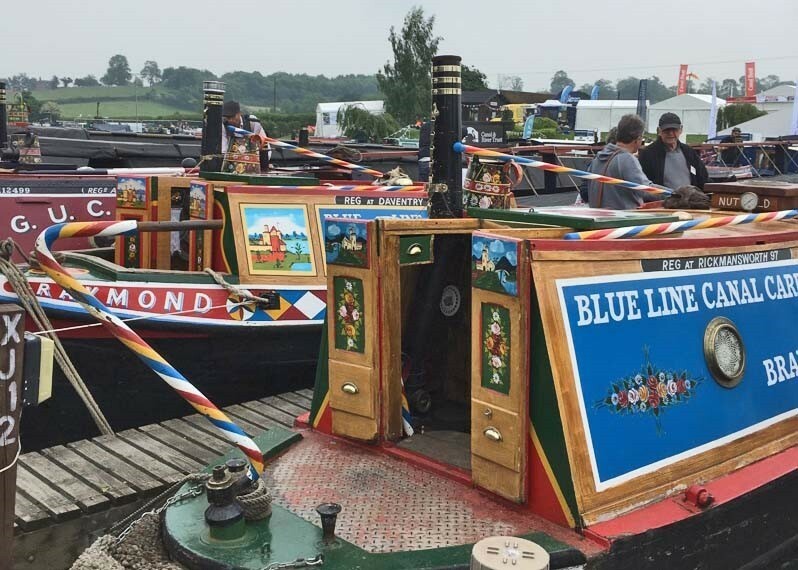 The Blisworth Canal Festival was a well organised and well advertised local village event supported by everyone in the village. This was the 4th year this event has been held. Add to the ingredients good weather and good attendance by the public and you get a very successful event. Our takings were £318.85 for sales and £72.07 for donations making a total of £390.92. This is a new world record beating last years previous record total of £318.08. As some of you know I sometimes bring along some of my IWA Middlesex Branch sales items to help to swell our takings at our events. There was another world record here at this event as a total of 18 of my tea towels were sold at Blisworth. 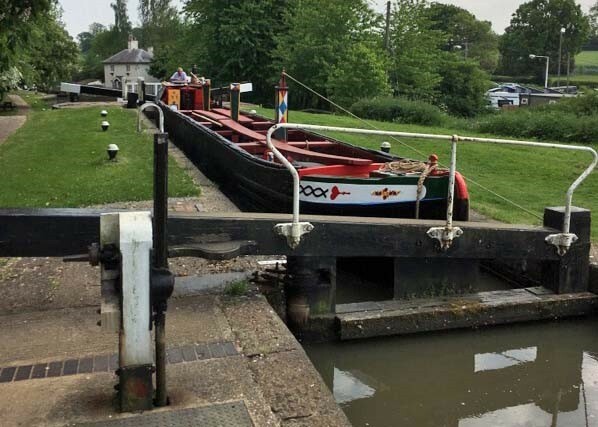 Cosgrove Lock Ransom: £79.95 for sales and £26.08 for donations making a total of £106.03. 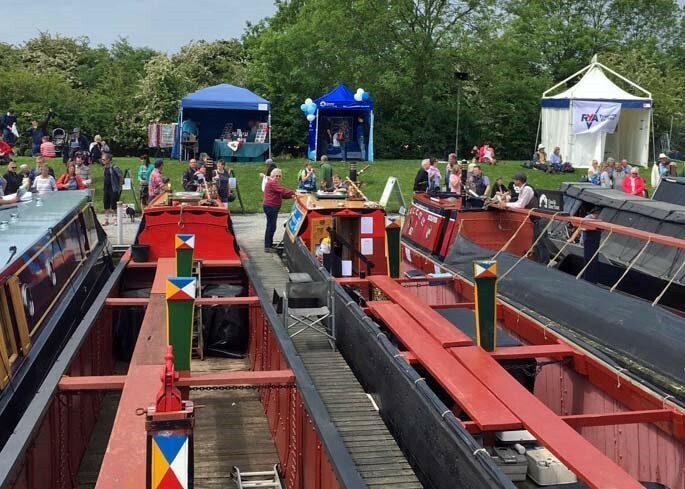 Linslade Canal Festival: £133.90 for sales and £39.24 for donations making a total of £173.14. These are the lowest figures for 4 years for each of these events. The Cosgrove event was poorly attended this year. This could be due to the very hot weather we had where people probably stayed at home or went to the seaside to cool off. The Linslade amount seemed very good at the time for a one day event but is low when compared with £254.05 taken in 2012. 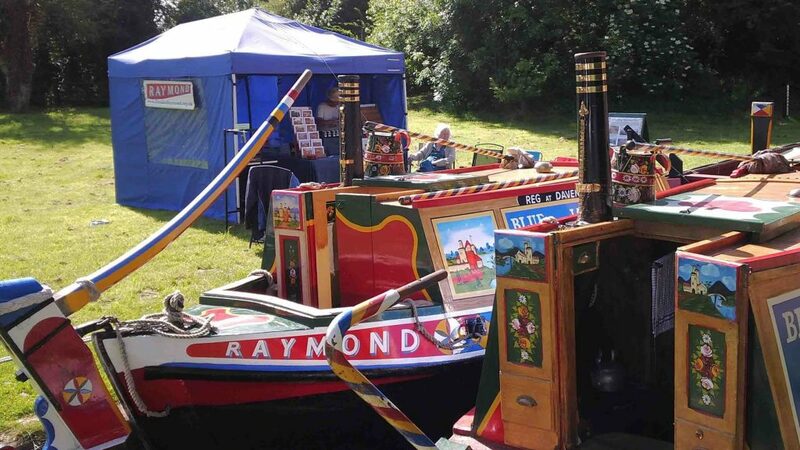 Many thanks indeed to all those who did crewing, manned the sales stand or did the showrounds at these events. Thanks also to all who bought items from our stall or made donations. A great compilation of stills cut to a song. Unfortunately the YouTube posting doesn’t say who is singing! whom deliveries of coal became known as the “Jam’Ole Run”. When she & Tim were on the boat, which had the company name sign-written on its cabin-side, they often got people who knocked & told them that they had worked there. She would love to hear from anyone who had anything themselves (or their families) to do with K&T. A special email address has been created for people to contact her on.